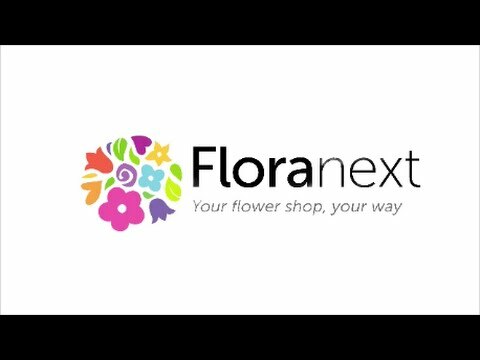 Floranext is a website and POS software solution for local, independent flower shops and large multi-shop operations alike, built especially for the flower industry. The platform includes the tools to create wedding and event proposals, and enables users to manage customers and orders, accounting, route deliveries, and more. Floranext provides flower shop businesses with hosted, eCommerce enabled websites including a custom catalog and a personalized storefront. Users have the ability to tailor their website designs, such as backgrounds, banners, and themes. Front page sliding banners can be suited to different holidays or seasons of the year. eCommerce integration allows businesses to include a product catalog and a checkout process complete with sender/recipient information, delivery date and charge, delivery instructions, add-on products, and more. Floranext’s florist POS allows users to manage their flower shop phone and walk-in orders using a full range of florist-specific tools including house account billing, flexible credit card processing, ticket printing, and reporting tools. Users can save and manage customers, recipients, and credit card information on file, as well as send out house account statements. Google Maps integration allows users to create multiple routes for local deliveries that can be sent directly to drivers via mobile phone. Floranext also enables users to create wedding and event proposals for customers that can include images of wedding-specific flowers such as bouquets, corsages, boutonnieres, and more. Users can edit proposals as needed, as well as track and view the status of proposals in one place. The wedding/event manager can be accessed via any connected mobile device, and proposals can be printed or converted into PDF files for viewing. Floranext e-commerce websites are a business changer! For years I have been with a floral software company who had control over my website. I had to ask them to add photos or products, and pleaded with them to change the look to best represented my business, I had enough and found Floranext POS & e-commerce websites. Floranext has been a business changer and I have should of went to them years ago.With the Floranext e-commerce site, I am able to add my own photos of products, Change the theme and look that best suits my business, and I can just do it with a few simple clicks. I do not need to call anyone to do it for me, unless I have questions, and Floranext's team is always there to help. The best part is I have complete control over my domain name, unlike other floral software companies. There is no contract with Floranext and I can move on with my domain name if I so choose. With the Floranext e-commerce site, I am able to add my own photos of products, Change the theme and look that best suits my business, and I can just do it with a few simple clicks. I do not need to call anyone to do it for me, unless I have questions, and Floranext's team is always there to help. The best part is I have complete control over my domain name, unlike other floral software companies. There is no contract with Floranext and I can move on with my domain name if I so choose. Since being with Floranext, there have been no cons, the team at Floranext is always there to answer my questions via phone, email, or help desk. Since Getting the website, I have also added the POS. Jerry - Thank you for taking the time to leave a review on Floranext. We here at Floranext are so happy that you love your Floranext eCommerce website. We strive to have the best solutions for florists and the best customer service team to help assist in any way possible. Saves a lot of time for end of month accounting and multiple channels to be able to access the POS. Its cloud based so I can use it at home as long as I have a working browser and login. There are no contracts. I am able to map out delivery routes and still print on floral paper from Teleflora. I can open up multiple browsers to do multiples at once. I can easily pull reports and see how I did during the day and it calculates taxable and non taxable items at the end of each month. It has Stripe Integration which I believe is safer than other payment processors. Good news is that I have always been able to reach out to IT Support and have requested changes and they do listen and work on them. Some things that I have asked for they have fixed or implemented. Its cloud based so I can use it at home as long as I have a working browser and login. There are no contracts. I am able to map out delivery routes and still print on floral paper from Teleflora. I can open up multiple browsers to do multiples at once. I can easily pull reports and see how I did during the day and it calculates taxable and non taxable items at the end of each month. It has Stripe Integration which I believe is safer than other payment processors. Good news is that I have always been able to reach out to IT Support and have requested changes and they do listen and work on them. Some things that I have asked for they have fixed or implemented. There are still a few UI issues that don't always make sense. I am not able to send out invoices (only email receipts). I cannot perform multiple delivery orders in one transaction. Sometimes the server is slow and transaction take a while or sometimes the server is down or something and I can't access the POS. Its not the end of the world but you can tell they are still working on the software. This product could be the absolute best if they could just work on these few issues. These very basic, core tasks are fundamental to running a successful business and without them it negates the other positives about the software. Pretty user friendly- easy order entry. The proposals feature is awesome. I love that it’s cloud based so I can access anywhere. The super ticket printing is also awesome. It also connected easily with my wix website which was really important to me. Pretty user friendly- easy order entry. The proposals feature is awesome. I love that it’s cloud based so I can access anywhere. The super ticket printing is also awesome. It also connected easily with my wix website which was really important to me. does not integrate with quickbooks even though it says it does. I have paid a quickbooks certified bookkeeper over $4000 over the last year and a half to get this working and it just doesn’t. Also, you can not send a house account customer a statement - well you can if you want them to call you completely confused and you want to look totally unprofessional. I literally have to create a month end statement in another software and send it to my customer. Good thing I don’t have a ton of house accounts. There are a few other issues but I think you guys get the idea. Floranext's florist POS and florist website - The best there is! After years of being with a wire service company, I made the change to Floranext. All I can say is that I should have made the switch earlier. Floranext's florist POS and florist website are made with florists in mind. They truly care about florists and making sure my business flourishes. Floranext POS is easy and user-friendly. Taking an order in the POS is a breeze. The websites are so wonderful, I am able to customize and design my own website, unlike my previous wire service website. I am able to add my own images of products and set my own prices with just a few clicks. My sales have soared because of Floranext, no hidden or extra charges, just one monthly fee. Floranext POS is easy and user-friendly. Taking an order in the POS is a breeze. The websites are so wonderful, I am able to customize and design my own website, unlike my previous wire service website. I am able to add my own images of products and set my own prices with just a few clicks. My sales have soared because of Floranext, no hidden or extra charges, just one monthly fee. There are no cons to the Floranext florist POS and florist website. Floranext understands the floral industry and florists. Jose - Thank you for leaving a review for Floranext. Here at Floranext our software is made for florists by Florists. We at Floranext always want to push the standard of the floral industry and provide the best solutions in floral software for florists - Floranext. I've been using this software for years and really like it. I love that it my website & POS work together.Ease of use. Sheri - Thank you for taking the time to leave us a review. We are so happy that you have joined Floranext and we look at continuing to provide the best solution to florists via pos, eCommerce, and proposal software solutions on the market - Floranext. Floranext websites are built with SEO in mind including florist-specific metadata and search engine keywords for improved search engine optimization. Website building tools include an ever-growing selection of original backgrounds and site designs including banners and themes. With Floranext POS, flower shop owners can manage both phone and walk-in orders as well as all floral accounting in one place. Florist shops can use Floranext's credit card provider, or choose to keep their own current provider and credit card terminal. Floranext’s wedding/event manager enables users to transform consultations into attractive wedding proposals to share with customers. Below are some frequently asked questions for Floranext. Q. What type of pricing plans does Floranext offer? Q. Who are the typical users of Floranext? Q. What languages does Floranext support? Q. Does Floranext support mobile devices? Q. Does Floranext offer an API? No, Floranext does not have an API available. Q. What other apps does Floranext integrate with? Q. What level of support does Floranext offer? Q. Which apps is Floranext compared to most often?